Accessories need to be purchased separately and are for illustration purposes only. 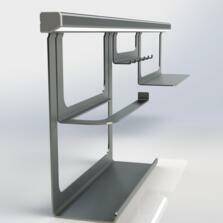 Sensio midway aluminium hanging rail / light system and accessories for under cabinet lighting and kitchen organisation. This under cabinet hanging rail lighting system allows utensils and kitchen roll etc to be stored ergonomically. 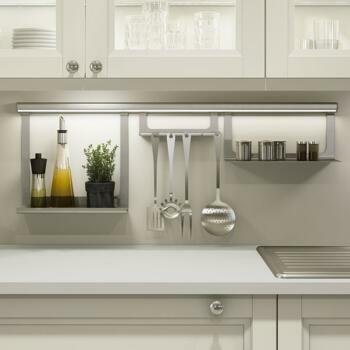 Pick and choose where and how you want to configure kitchen accessories whilst facilitating continuous under shelf utility light.